Technology that analyses facial expressions being trialled in Hungary, Greece and Latvia. The EU has been accused of promoting pseudoscience after announcing plans for a “#smart_lie-detection_system” at its busiest borders in an attempt to identify illegal migrants. The “#lie_detector”, to be trialled in Hungary, Greece and Latvia, involves the use of a computer animation of a border guard, personalised to the traveller’s gender, ethnicity and language, asking questions via a webcam. The “deception detection” system will analyse the micro-expressions of those seeking to enter EU territory to see if they are being truthful about their personal background and intentions. Those arriving at the border will be required to have uploaded pictures of their passport, visa and proof of funds. According to an article published by the European commission, the “unique approach to ‘deception detection’ analyses the micro-expressions of travellers to figure out if the interviewee is lying”. Travellers who have been flagged as low risk by the #avatar, and its lie detector, will go through a short re-evaluation of their information for entry. Those judged to be of higher risk will undergo a more detailed check. Border officials will use a handheld device to automatically crosscheck information, comparing the facial images captured during the pre-screening stage to passports and photos taken on previous border crossings. When documents have been reassessed, and fingerprinting, palm-vein scanning and face matching have been carried out, the potential risk will be recalculated. A border guard will then take over from the automated system. The project, which has received €4.5m (£3.95m) in EU funding, has been heavily criticised by experts. Bruno Verschuere, a senior lecturer in forensic psychology at the University of Amsterdam, told the Dutch newspaper De Volskrant he believed the system would deliver unfair outcomes. “Non-verbal signals, such as micro-expressions, really do not say anything about whether someone is lying or not,” he said. “This is the embodiment of everything that can go wrong with lie detection. There is no scientific foundation for the methods that are going to be used now. Verschuere said there was no evidence for the assumption that liars were stressed and that this translated to into fidgeting or subtle facial movements. A spokesman for the project said: “The border crossing decision is not based on the single tool (ie lie detection) but on the aggregated risk estimations based on a risk-based approach and technology that has been used widely in custom procedures. The technology has been designed by a consortium of the Hungarian national police, Latvian customs, and Manchester Metropolitan and Leibnitz universities. Similar technology is being developed in the US, where lie detection is widely used in law enforcement, despite scepticism over its scientific utility in much of the rest of the world. Last month, engineers at the University of Arizona said they had developed a system that they hoped to install on the US-Mexico border known as the #Automated_Virtual_Agent_for_Truth_Assessments_in_Real-Time, or Avatar. 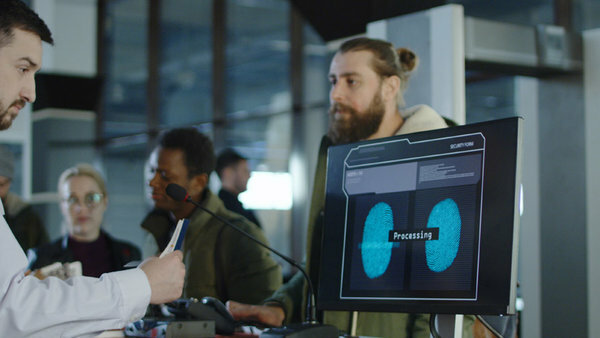 An EU-funded project is developing a way to speed up traffic at the EU’s external borders and ramp up security using an automated border-control system that will put travellers to the test using lie-detecting avatars. It is introducing advanced analytics and risk-based management at border controls. ‘The global maritime and border security market is growing fast in light of the alarming terror threats and increasing terror attacks taking place on European Union soil, and the migration crisis,” says Boultadakis. As a consequence, the partner organisations of IBORDERCTRL are likely to benefit from this growing European security market – a sector predicted to be worth USD 146 billion (EUR 128 bn) in Europe by 2020. L’Union européenne va tester dans un avenir proche un moyen de réguler le passage des migrants sur certaines de ses frontières, en rendant celui-ci plus simple et plus rapide. Ce moyen prendra la forme d’un détecteur de mensonges basé sur l’intelligence artificielle. Financé depuis 2016 par l’UE, le projet iBorderCtrl fera bientôt l’objet d’un test qui se déroulera durant six mois sur quatre postes-frontière situés en Hongrie, en Grèce et en Lettonie. Il s’avère que chaque année, environ 700 millions de nouvelles personnes arrivent dans l’UE, et les gardes-frontières ont de plus en plus de mal à effectuer les vérifications d’usage. Ce projet iBorderCtrl destiné à aider les gardes-frontières n’est autre qu’un détecteur de mensonges reposant sur une intelligence artificielle. Il s’agit en somme d’une sorte de garde frontière virtuel qui, après avoir pris connaissance des documents d’un individu (passeport, visa et autres), lui fera passer un interrogatoire. Ce dernier devra donc faire face à une caméra et répondre à des questions. L’IA en question observera la personne et fera surtout attention aux micro-mouvements du visage, le but étant de détecter un éventuel mensonge. À la fin de l’entretien, l’individu se verra remettre un code QR qui déterminera son appartenance à une des deux files d’attente, c’est-à-dire les personnes acceptées et celles – sur lesquelles il subsiste un doute – qui feront l’objet d’un entretien plus poussé avec cette fois, des gardes-frontières humains. Le système iBorderCtrl qui sera bientôt testé affiche pour l’instant un taux de réussite de 74 %, mais les porteurs du projet veulent atteindre au moins les 85 %. Enfin, évoquons le fait que ce dispositif pose assez logiquement des questions éthiques, et a déjà de nombreux opposants !